Rihanna shined bright like a diamond last night; draped in Zac Posen couture gowns and adorned with Chopard jewels, in honor of the pop tart’s inaugural gala for the Clara Lionel Foundation, held in the ritsy 90210 zip code aka Bev Hills. Rih Rih treated celeb attendees–Tia and Corey Hardrict, Kim and Kris Kardashian, Salma Hayek, rapper Fabolous, Big Sean, Tyrese–and the Fenty family with her old and new tunes with a live orchestra backing the “Umbrella” singer up. But not before Brad Pitt cued the orchestra up and gave a cringe-worthy intro. This is when a teleprompter with very funny, witty writers comes in handy. Not everyone can be Jimmy Kimmel, oh he hosted the ball, BTW. 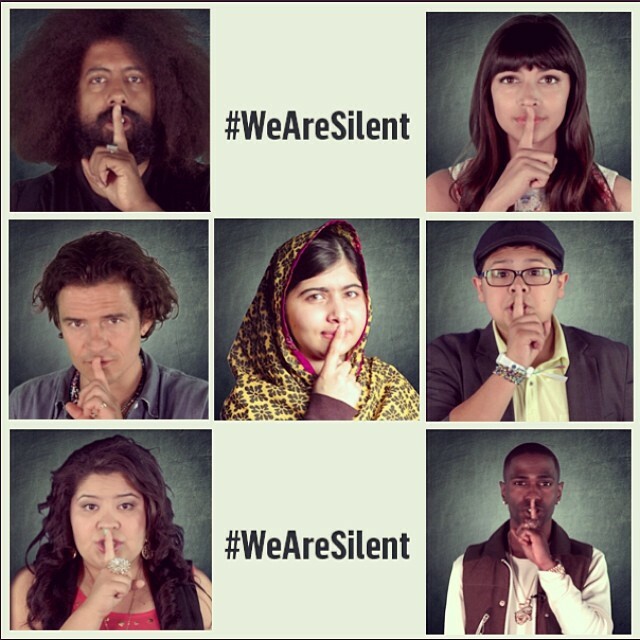 To raise money for the Clara Lionel Foundation, founded in 2012, the org launched an online auction that offers meet and greets with Rihanna as well as Kanye West (if you’re in to it) and other exclusive items. Click here to peruse the offerings. 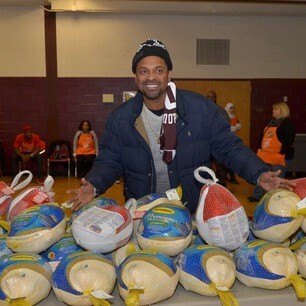 Needy families from Atlanta and Detroit have RHOA Kandi Burruss, rapper Ludacris and funnyman Mike Epps to thank for doling out turkeys through their respected charities. 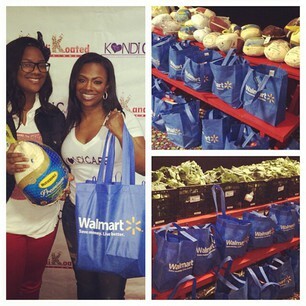 Kandi partnered with Walmart–as well as requested turkey donations from the community–to collect the turkeys and trimmings she used to offer select single-parent homes in ATL, through her Kandi Cares charity. The housewife chanteuse distributed the thanksgiving goodies yesterday alongside daughter Riley. Not far away, rapper Ludacris kicked off his annual holiday food basket giveaway to 250 families through his Ludacris Foundation.The rapper/actor not only distributed butterballs to the ATL, but also set up a coat and toy driver. Luda set up a one stop shop of generosity to needy Atlantans at the Utopia Academy for the Arts. 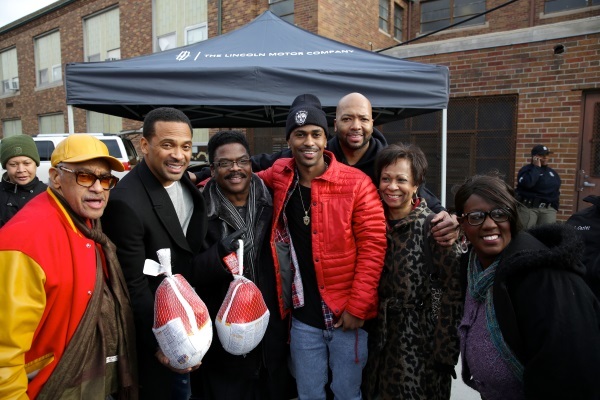 Not to be outdone comedian Mike Epps joined Big Sean in Detroit to take part in the All Star Give back turkey drive held at River Rouge Schools. The giveaway aimed to feed over 1,000 families in the motor city. Finally, to round out the various acts of kindness that kick off the holiday season, FLOTUS Michelle Obama and “Extra’s” Mario Lopez plan a Thanksgiving surprise to a worthy veteran. The California native army sergeant fell on hard times after his tour of duty finished; became unemployed and lost his Vietnam veteran grandfather to cancer. “Extra” and FLOTUS stepped in to get him back on his feet. Watch “Extra” to see how the surprise plays out. 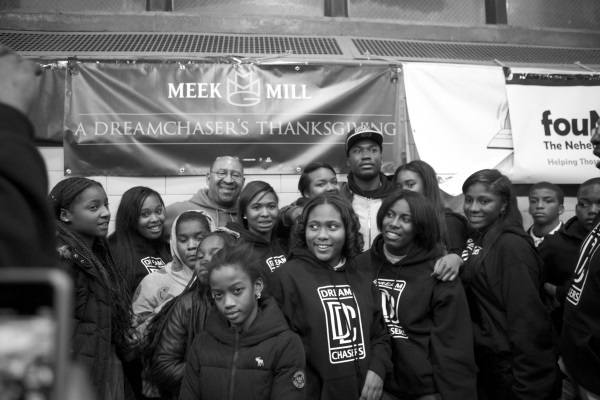 Kudos to these celebs and everyone for serving up blessings to needy families. Let’s pass that love and generosity around more.